Magento is an ecommerce platform and CMS, created in 2008 by the US private company. It is an open source solution, written in PHP. Over the decade, Magento gained popularity among retailers around the world and is currently recognized as one of the most comprehensive online retail software. Around a quarter of all ecommerce globally is powered by Magento, with such global brands as Nike, Samsung, Ford, and Coca-Cola among them. There is hardly another ecommerce solution with the same high reputation as Magento. Such unanimous credit can be attributed to its intuitive administration panel, constant upgrades and improvements, and substantial security measures. Also, due to Magento being open source, it can be easily configured and customized to serve any retailer’s needs. Moreover, its ecommerce functionality is exceptionally versatile, with a great many of checkout options, support of the critical global and regional payment getaways, shipment tracking integrations and advanced tax rules capabilities. All in all, Magento is considered the solution a retailer can rely on to bring out the best of their business. Magento has come a long way to earn its well-deserved place in the ecommerce industry. This history of success was neither straightforward nor simple, and we, as Magento developers, appreciate and value it. Therefore, here is a brief timeline of Magento journey – from 2007 to 2019. Back-story – Magento was a brainchild of two students of the University of California, Los Angeles – Roy Rubin and Yoav Kutner. While at college, they began a project named Varien. 2007 – Rubin and Kutner saw an opportunity for Varien project in the industry of online retail, and managed to get funding for development of what will soon become a Magento framework. 2008 – Varien company released its first open source product – Magento. The name derives from the name of color – “magenta”, yet the corresponding domain name was already taken, so the founders settled for a slightly altered name – Magento. 2009 – the platform, named at that time Magento Community Edition, quickly received worldwide acclaim due to its highly customizable nature and became even more popular than osCommerce, its predecessor. Launch of Magento Enterprise. 2010 – the company changed its name from Varien to Magento to be strongly associated with its globally recognized product. Also, eBay invested in the platform worth 49% of its ownership. Launch of Magento Mobile. 2011 – due to the previous substantial investment, eBay acquired the entire company in June and integrated a PayPal system directly into Magento platform. Another significant event of that year was held for the first time – Imagine eCommerce conference, an event for Magento developers, run annually since then in Los Angeles. 2012 – one of the founders, Yoav Kutner, left his post at the Magento company. 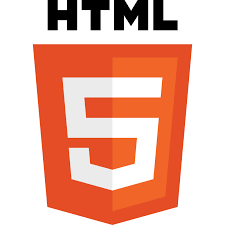 2013-2014 – the company worked on developing new versions and improving the functionality of the existing ones. 2015 – as a result of eBay breakup and the split of PayPal from it, Magento was made an independent company by their new owner – Permira private equity. Another critical event happened that year – the release of the new platform version Magento 2.0. 2016 – introduction of Magento Enterprise Edition. It was organized in the platform-as-a-service model and was aimed for businesses of large scale, with the support of installation, configuration and usage included in the package. Moreover, the Magento Marketplace was launched, allowing hundreds of Magento developers offer their extensions and themes for sale. 2017 – renaming of two major products: Magento Community became Magento Open Source and Magento Enterprise Edition – Magento Enterprise. 2018 – Magento was acquired by Adobe company with an aim to integrate it into their enterprise CMS platform – Adobe Experience Cloud. At the end of the year Magento 2.3 version was announced; the merchants would be able to synch their Magento stores with Amazon as well as integrate their catalog with Google Merchant Center and Google advertising channels. 2019 – merge of Adobe Experience Cloud and Magento Commerce Cloud. Work on Magento 2.3 version continues. Magento creators have always worked hard to incorporate into the platform a plethora of technologies, aiming to make it unparalleled in its functionality and abilities. As a result, Magento technology stack consists of powerful technologies set that enable developers with a wide range of abilities for their projects. 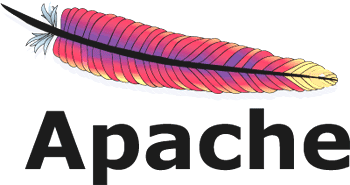 Apache is an open-source web-server; Magento is compatible with Apache 2.2.x or 2.4.x. 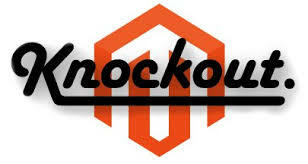 Although Apache is cross-platform, it is especially preferred by retailers who chose to run their ecommerce on Magento. This one is a web-server that can also be used as a reverse proxy server for HTTPS, HTTP, POP3, SMTP, and IMAP protocols, load balancer and HTTP cache. It stands out with its low usage of memory and concurrency. Support of PHP allows for a faster and simpler coding routine. By default, Magento is compatible with PHP 5.5 and 5.6, but can also work with PHP 7. The new Magento 2.3.0 is compatible with PHP 7.2. MySQL is a relational database management system, relied on by the largest websites around the world. Magento is no exception – it uses the MySQL database triggers at reindexing, and at the same time, does not support MySQL statement-based replication. This is a markup language, which is a crucial element of Magento 2 technology stack. 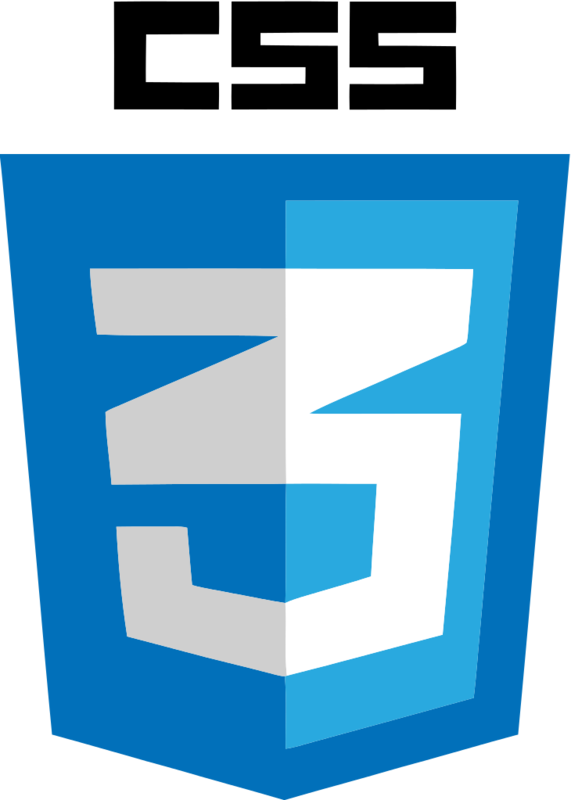 It serves for presenting and structuring frontend components as well as simplifying the development process. 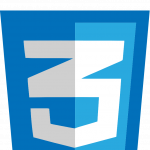 In the theme core, Magento implements CSS that replaces links from CSS source files with the correct ones. Magento does not rely on a single Zend Framework – instead, it has its adapters and interfaces for tunneling calls to Zend Framework 1. Therefore, one must utilize the official Magento framework APIs to avoid problems. Symfony is a third-party PHP framework and a stack of reusable PHP components. In Magento 2 it speeds up the development work by allowing to avoid repetitive coding tasks. Moreover, YAML, Symfony’s serialization component, is an excellent format for configuration files. Coding standards PSR-0 (autoloading standard), PSR-1 (basic coding standards), and PSR-2 (coding style guide), PSR-3, PSR-4. Varnish is an HTTP accelerator; in Magento it is used for caching. This one is an in-memory data structure project, implemented for page caching in Magento. Elasticsearch is a search engine utilized in Magento. This is an open-source message-broker software; used for message queueing in Magento. Magento 1 was released back in 2008, at the beginning of Magento company journey, and remained for over 7 years, which is, to be honest, is a bit too long a term, even for such comprehensive platform. Magento 2, eventually released in 2015, met the demands of a modern ecommerce industry and addressed a great many shortcomings of the previous version. More than 3 years have come since the Magento 2 release, and so far the whopping 73% of all Magento shops run on Magento 2. So, is the second version indeed that good? The major weak spot of Magento 1 was its architecture, and with that in mind, Magento developers incorporated the most functional and innovative technology stack into the new platform version. In particular, the new technologies like Apache, Composer, Symfony, Nginx 1.7 and latest PHP versions were introduced to Magento 2 improve store speed and performance. This is the comparative table of technologies Magento 1 and Magento 2 support. Store loading speed is an especially crucial point for webstore user experience, search engine optimization and overall success. Due to all the architectural, technology and caching alterations, Magento 2 offers a substantially better page loading speed; for certain pages, it reaches up to 50%. Magento 1 vs Magento 2 loading speed comparison. Magento developers introduced not solely customer-oriented improvements – they provided for store admin experience and performance as well. All in all, the renewed Magento 2 admin dashboard became more intuitive and user-friendly. It empowers admin with not only product, order, inventory and tax management capabilities, which is in itself a large share of functions, but also store monitoring and analytics, that are crucial for store marketing and planning & strategy. There was a unified Magento marketplace for the first version, yet it was somewhat disorganized – there was no strict control over the third-party extensions functionality and quality. Another significant issue of that time were extensions functionality conflicts. A more meticulous extension testing routine was implemented at the Magento 2 marketplace. Also, what concerns extensions, the new version plugins are allowed to overlap each other’s code instead of overriding it. According to the official announcement, Magento 1, both Open Source and Commerce, will be supported until the end of June 2020. This might seem like a long term, yet taking into consideration all the advantages and improvements of the newer version, we would strongly recommend you to migrate to Magento 2 as soon as possible. After the rebranding in 2017, Magento has been offering two distinct solutions: Magento Open Source (previously named Magento Community Edition) and Magento Commerce (merged Magento Enterprise and Magento Cloud Edition). In a nutshell, Open Source version is free and has less robust functionality than Magento Commerce. On the other hand, open source code makes it more customizable, meaning it can be upgraded with proper extensions and custom development. Magento Commerce, in its turn, comes with an advanced set of out-of-the-box features and two pricing plans: Magento Commerce Starter and Magento Commerce Pro; the first will perfectly suit small-scale new ecommerce enterprises, and the latter is aimed at middle- and large-scale online retail. As you can see from this comparative table, Magento Open Source is lacking certain useful capabilities. However, you can always find a corresponding extension or module at an official Magento marketplace or third-party Magento developers’ stores. Magento is, obviously, not the only alternative at the ecommerce solutions market – there are a great many platforms of every type, level and price. Shopify and WooCommerce are both top ecommerce solutions with a global reputation, which makes them rightful and closest competitors of Magento. Each of them offers a unique approach to running an online store, has its advantages and peculiarities. Here is a table that provides a swift overview of these three platforms differences.Perhaps this brief comparison is not enough to make a proper well-weighted decision on which platform to implement, yet it provides a decent overview of what each of the platforms presents and how they are different. Magento values the client companies of all scales, be they small, middle or large businesses, yet it is the review and experience of global brands that shape the reputation of the provider. A great many global brands trust Magento, and we have selected 5 top companies from different industries and their opinions on the ecommerce platform they run their businesses with. We hope this comprehensive article provided you a full understanding of what Magento as an ecommerce solution is. There are many other Magento-related articles on our blog, so if you wish to explore this platform further, you are most welcome to visit it. Also, if you have any questions or comments, feel free to leave them down below.